Another attack by 2 female suicide bombers has occurred the capital of Nigeria's northeast devastated Borno State, leaving 8 persons injured. 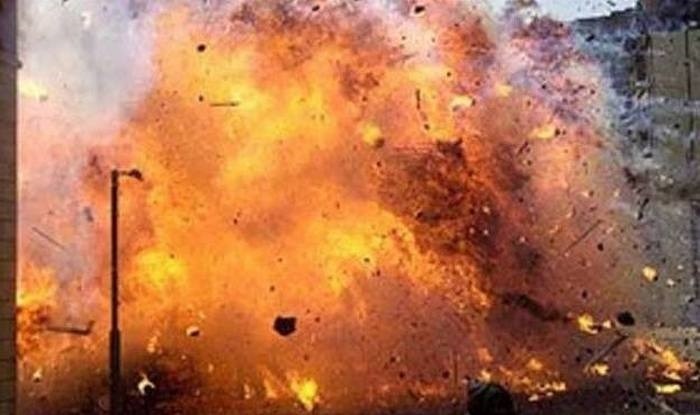 Two Suicide bomb attacks in the outskirt of Maiduguri, the capital of Borno State has left at least 8 persons injured. The attack occurred at about 5:30 p.m. local time on Friday. It was allegedly carried out by 2 female suicide bombers. They had detonated their Improvised Explosive Devices, targeting a vehicle on a feeder road off Maiduguri/Mafa highway, close to National Drug Law Enforcement Agency (NDLEA) checkpoint. A statement by the spokesman of the police in Borno, Isuku Victor, said only the two suicide bombers died in the incident. An official of the NDLEA was among 8 persons that were injured in the suicide attack and they have been taken to a hospital in Maiduguri. "They are responding to treatment," Victor said. Also affected by the explosion was a golf taxi with reg. no XA 479 DRZ laden with bags of charcoal. it was conveying two female passengers and a Tricycle. Police have cordoned off the area and have launched an investigation into the incident. No group has claimed responsibility for the attack, but Boko Haram that has pushed for an Islamic State and an end to Western education in the northeast region has claimed similar attacks in the past. They have renewed campaign in the past few months, but the military has heightened efforts to contain their activities, with Service Chiefs mandated to lead renewed onslaught against the terrorist group. Situations in Nigeria are forcing people out of the country and a lot of them are willing to take a 50-50 journey through the desert to get to Europe.